How Can Immersive Content and Videos Change Your Business? As technology is ever-changing, there are more ways for businesses to utilize new advancements in order to benefit the look and feel of their business. Projectors and projection screens are the perfect example of how new technology has “changed the game” in companies. With the ability to create immersive content and videos, it is safe to say there has been a huge progression with the capabilities of projectors and projection screens. So, what exactly is immersive content? Immersive content is just as it sounds to be – it is a digital display that is so enthralling, it allows consumers to feel as if they are completely immersed in the display of the image or video. In a more technical form, immersive content is a state-of-the-art digital display, in which the projection screen fits to the space of an entire wall; the image or video that is being displayed on the wall can be easily manipulated through digital signage media players (such as BrightSign Media). When it comes to funeral services, family and friends look for meaningful ways to honor their love ones– they may create a photo collage or set up a specific soundtrack to play throughout the wake/funeral. Taking it a step further, immersive videos can help create an unforgettable memorial at funeral services. 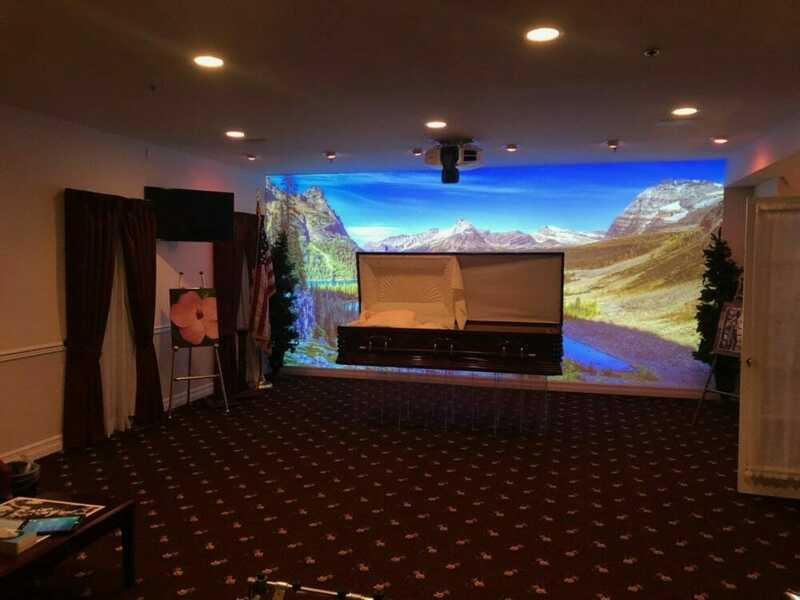 In funeral homes, the immersive content displayed can serve as a backdrop to the service. At CSAV Systems, we can custom design and install a projector and projection screen, to display immersive content and videos. Choosing background displays are simple, as we can create several pre-sets for backdrops (i.e: display of mountains, ocean, clouds, American Flag, etc.). In addition, immersive videos can be played throughout other events, such as meetings or conventions. 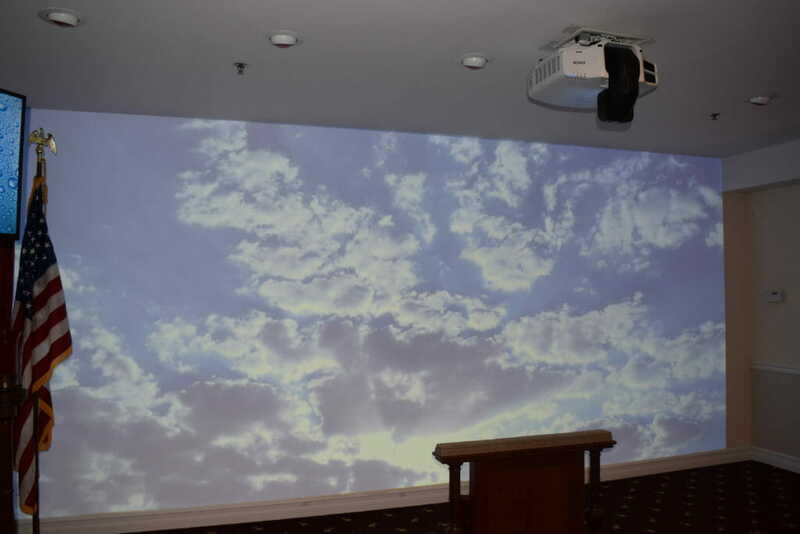 We work with Old Bridge Funeral Home and provide them with an immersive video system. Schools: Schools and education facilities can use immersive videos to help teach lessons or to play videos and presentations. Corporate Offices: Corporate offices can show immersive videos during important client or staff meetings. Reception Venues & Hotels: Immersive videos can be played in conference rooms or banquet rooms to attract your guests’ attention. Restaurants: Immersive content or videos can be played in your private party rooms to showcase the personality of the guest(s) of honor. Assisted Living Facilities: Create warm and welcoming immersive videos for your members to enjoy in gathering rooms. Church Halls: Use immersive content to play religious videos or to showcase religious back-drops within parish halls. To learn more about the markets we serve or the services we provide, click here.